5 Rut Castillo of Cuba performs in the ball rotation in the Women's Rythmic Gymnastics individual all-around final at the Pan American Games in Toronto, Canada. 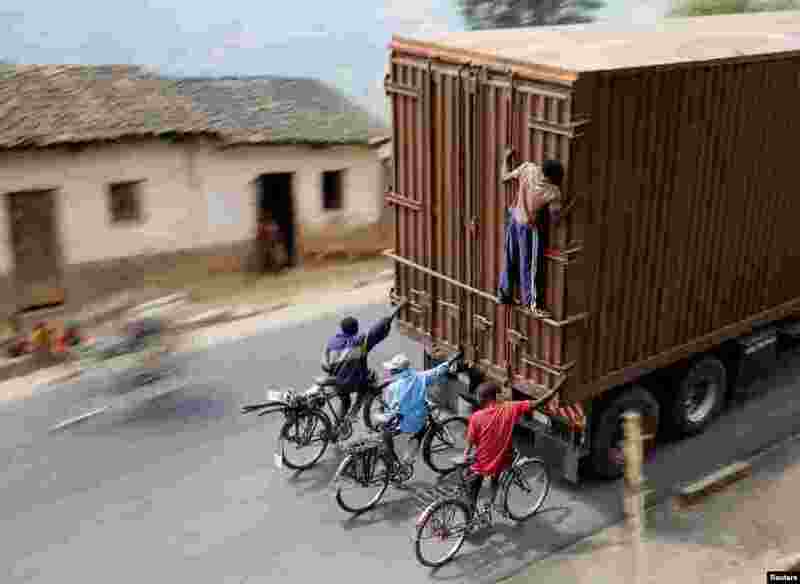 6 Cylists hang to the back of a truck outside the capital Bujumbura, Burundi. 7 People relax at the public swimming pool of Schoenbrunner Bad on a sunny day in Vienna, Austria.